We wrote this California child support introduction in easy way in order for you to get a general understanding about child support and changing the child support order. If you are divorcing and have children, it is important that you understand California child support law. 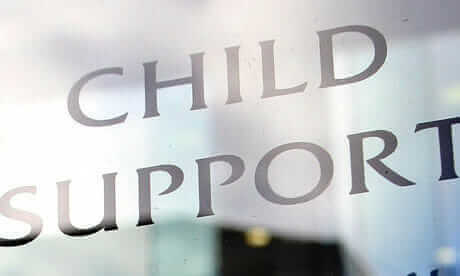 The best way to prepare to get the legal advise about California child support is to gather as much general information as possible and then ask questions that are applicable to your situation. The explanations on this page are not intended to be a legal advice. After you read it, you might consider to visiting an attorney ask questions about California child support applicable to your situation. California child support law is based on the presumption that both parents have to support their minor children as much as their circumstances allow. 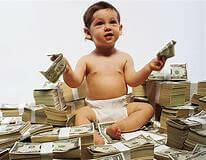 Parent’s income and the time spent with each child are factors in determination of California child support. California is an expensive state, when parents separate, it is is generally more difficult to maintain the same standard of living. The best interest of children and keeping them comfortable with both parents is considered in computation of California child support. California child support will typically be assigned to the parent living with the children so that they would not be harmed by living with the parent with lower income. The children will get child support through private parent resources as much as possible. Child support guidelines are designed to minimize litigation by a fair and standardized approach to child support calculation. The children’s interest is the first priority; both parents must use the their best ability and skill to support the children’s needs reflecting California’s high costs of raising children and California’s high standard of living. 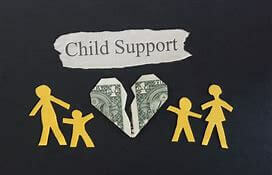 If a child support agency is involved, it must be properly served as well.